Hey there! Thanks for dropping by koonskollegebball! Take a look around and grab the RSS feed to stay updated. See you around! In this post I’m going to give you, the reader, my picks for the SEC this season. You may be wondering, “Does this guy know the division is split?”. Yes, I do. I’m going to format who I believe will win the SEC East and the SEC West. Then, I’ll predict the SEC Championship matchup and overall champion of the SEC in 2011-2012. 1. Alabama Crimson Tide—> The Tide have 3 of their most dangerous players returning and are adding two ESPNU 100 recruits. Remember, Alabama was royally screwed last season being one of the tougher bubble teams that was excluded from the NCAA tournament. They’ll have some fire and a chip on their shoulder and will win the SEC West outright! 2. LSU Tigers—> Tigers have 4 of their top scorers returning and are adding a tough power forward (Johnny O’Bryant PF ESPNU 100). 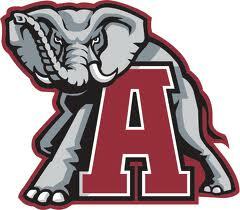 They’re experience will help them beat most teams this year and should give Alabama good, tough competition. 3. Arkansas Razorbacks—> Razorbacks have their second leading scorer returning and are bringing in an outstanding recruiting class that includes three ESPNU top 100’s. 4. Mississipi State Bulldogs—> Once you get passed the first three teams in the SEC West the bottom three are a toss up. When I compare them with who they have returning and who they’re bringing in against Auburn and Ole Miss I see Mississip State being the front runner of the group. 5. Ole Miss Rebels—> Losing their top two scorers/leaders should show some problems, flaws, and weaknesses in this lineup. They’re above Auburn simply due to their superior recruiting class. 6. Auburn Tigers—> Auburn loses their two leading scorers from a season ago. But, they could be the team that upsets and surprises a few teams around the league, however, I don’t see them having too much success this season. The East undoubtedly includes the toughest teams in the SEC this season. Vandy, Kentucky, and Florida should be fun to watch this year as they battle it out. Here’s how I believe it’ll play out. 1. Vanderbilt Commodores—> Vanderbilt is not only returning a stunning 7 top scorers but are also bringing in two ESPNU 100 recruits. The Commodores were a team last season that had a shot to win the SEC. Their experience and talent should be a great combination to lead them to hold the SEC East crown at the end of conference play. 2. Kentucky Wildcats—> Kentucky is losing Knight, Liggins, and Harrellson. Three main guys from last years team. But, they’re bringing in one of the nations best recruiting classes that consists of 4 ESPNU 100’s. Terrence Jones and Lamb look to lead this squad to an extremely successful season. However, Calipari’s past shows that he’s unable to lead great teams to championships (Memphis lost the lead in 2008 National Championship). I see him not leading this team to the SEC Championship game. 3. Florida Gators—> Florida will be that sleeper team. Good experience coming back and some talented recruits. I don’t see them containing the necessary consistency it takes to win the SEC East this year. 4. South Carolina Gamecocks—> Returning their top scorer and bringing in two extremely talented recruits should allow them to finish in the middle of the pack in the SEC East. 5. Georgia Bulldogs—> Losing very talented and experienced players, including two leading scorers, and are only bringing in 1 extremely valuable recruit. I expect this to be a rebuilding season for the Bulldogs. 6. Tennesse Volunteers—> Losing much of their squad from last year and accomplishing to bring in promising talent will lead to an extremely frustrating year for Volunteer fans. Rebuilding is one word to describe how this season will be for Tennesse. I see this matchup coming down to Alabama and Vanderbilt. 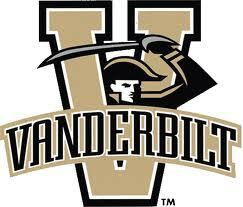 I think Vanderbilt’s experience, talent, and desire to win to be the victor of this meeting. Though, I wouldn’t count the Crimson Tide out. They still have that chip on their shoulder from not making the NCAA tournament last season. It’ll be a very fun and interesting game to watch nonetheless! I’ve been on a short hiatus. Sometimes work and life just keep you from doing things you’d rather be doing. But, I’m back again with some more predictions. This time I’m going to touch on the Big XII. Later this week, hopefully later tonight or tomorrow I’ll have ACC predictions for this season. These predictions will be similar to the Big East predictions, however, I’ll have a quick explanation for my picks. I think Baylor has a really good chance at winning the Big XII this season. Yes, they’re losing a very key player in LaceDarius Dunn but, They’re bringing back some experienced talent in Perry Jones III and Quincy Acy (Who’s looked upon to fill Dunn’s absence). Baylor is also bringing in some raw talent in their recruting class. Quincy Miller could play a vital role for the Bears this season at the Power Forward position and give them an added lift. I’m well aware of the fact that Kansas is losing pretty much their entire team from last season (Morris twins, Tyrel Reed, Josh Selby, Brady Morningstar, and Mario Little). The Jayhawks are bringing in two ESPNU 100 recruits, Ben McClemore and Naadir Tharpe. They also have some good experienced talent coming back, just not as many players as Baylor has coming back though. Don’t count Bill Self out either. Since being at Kansas Self hasn’t won the Big XII only once. 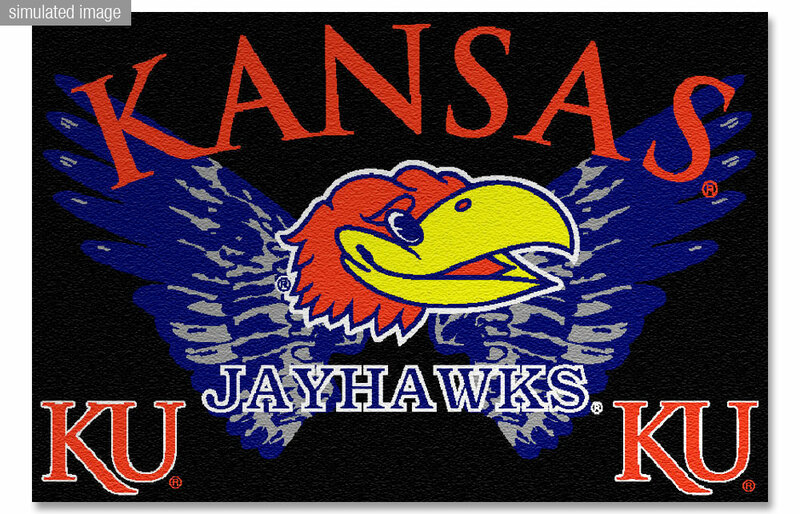 He always has his team ready to perform and kansas may very well jump back on top and assume control over the Big XII. This may seem like a surprisingly high pick for the Cowboys, and I’d have to agree. But, I like who they have coming back and they seem to bring a battle with them every game. 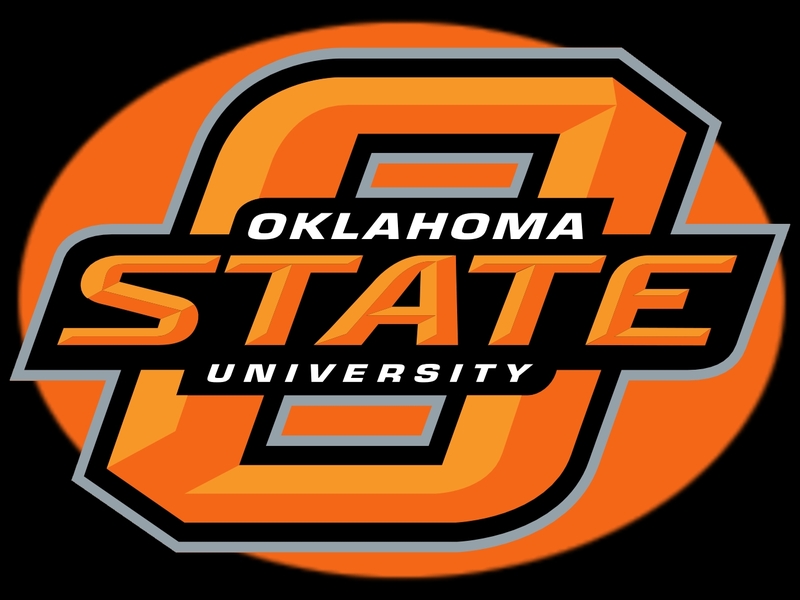 Look for them to win many close games and climb towards the top of the Big XII this season. 4. Missouri Tigers—> There’s been much talk about the Tigers leaving the Big XII this year. Who cares? They’r bringing back all 5 of their top 5 scores from a season ago, all of which averaged 10.0+ ppg. Experience + Talent = promising season. 5. Texas Longhorns—> Some may want the Longhorns finishing higher, as would every fan, but I don’t see them having the success they’ve had in the recent past. They not only lost a ton of talent with all that left but they also lost a ton of experience. Yes, the Longhorns are bringing in some good talent but they’re inexperienced. I put Texas up this high only due to the lack of depth, talent, and experience in the Big XII. 6. Kansas State Wildcats—> K State lost Jacob Pullen, arguably the best player Kansas State has seen in the past 25 years. Curtis Kelly also left the Wildcats. Leaving them without two of their top three scorers. The Wildcats are bringing in a big and talented class but they’ll need more than that in order to be successful in the Big XII this season. 7. Oklahoma Sooners—> The Sooners are only losing their top scorer from last season and Nick Thompson who earned solid minutes last season. Losing Cade Davis could prove to be huge but with Oklahoma relying solely on experience this coming season I think they’ll do alright. 8. Texas A&M Aggies—> The Aggies are bringing back their top two scores from last season and are bringing in an ESPNU 100 Point Guard, Jamal Branch. This combination will allow them to win some games they may have lost a few years ago. 9. Texas Tech Red Raiders—> The Red Raiders are losing 4 of their top 5 scorers from last year. This will prove to be a huge problem. They’re bringing in a good recruiting class but the lack of experience and leadership will prove to be too much to handle for Texas Tech this year in the Big XII. 10. Iowa State Cyclones—> The addition of Korie Lucious, from Michigan State, (if he’s eligible this season) won’t be enough for immediate success this year. The Cyclones lost a bunch of talent, leadership, and experience and it will take some time to get back to where they once were, which wasn’t all that impressive to begin with. A long while ago I posted my Big Ten 2011-2012 predictions. Well after looking at them recently knowing for certain whose still at their school and what each school is bringing in, recruiting classes, I’m more or less dumbfounded at who I picked to finish where. I gave some schools way too much credit and really slapped other teams in the face with my rankings. 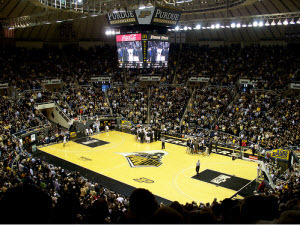 So, I’m here today to share my revised Big Ten 2011-2012 mens basketball predictions. I still think it’s hard to argue that the Buckeyes are going to fall off the top. Yeah so they’re losing one of the best 3 point shooters to ever play the game in Jon Diebler and a very solid defensive play in David Lighty. But, the Buckeyes are returning their two top scorers and are bringing in 5 freshman that all received a 91 or higher grade from ESPN, including 4 ESPNU 100 players! This team is going to be a force to be reckoned with this season. They play games for a reason so we’ll see how they do. 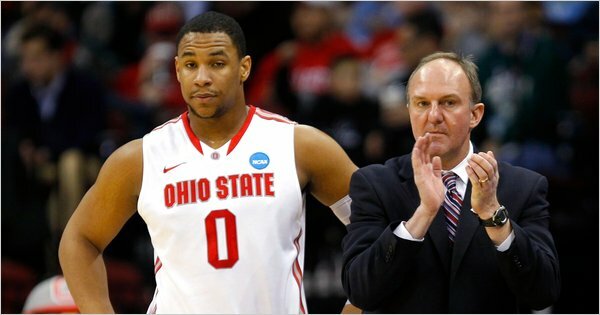 Still expect high expectations from this squad as we all know Thad Matta is going to. I’ve moved Wisconsin up dramatically since my last rankings. The Badgers are losing two of their top three scorers from last season but Jordan Taylor was only .3 ppg away from being the leading scorer for the Badgers….as a point guard. Other than that the Badgers are bringing back a solid assortment of players including Josh Gasser, Mike Bruesewitz, and Ryan Evans. As well as their recruiting class that’s pretty decent. I don’t expect Wisconsin to lose many games at home this season, they do host the Buckeyes which will be very exciting to watch! The Wolverines also received a very favorable boost since my last rankings. After looking over their roster and incoming freshman I realized Michigan didn’t lose much. Well, they lost Darius Morris but, are replacing him with Trey Burke. 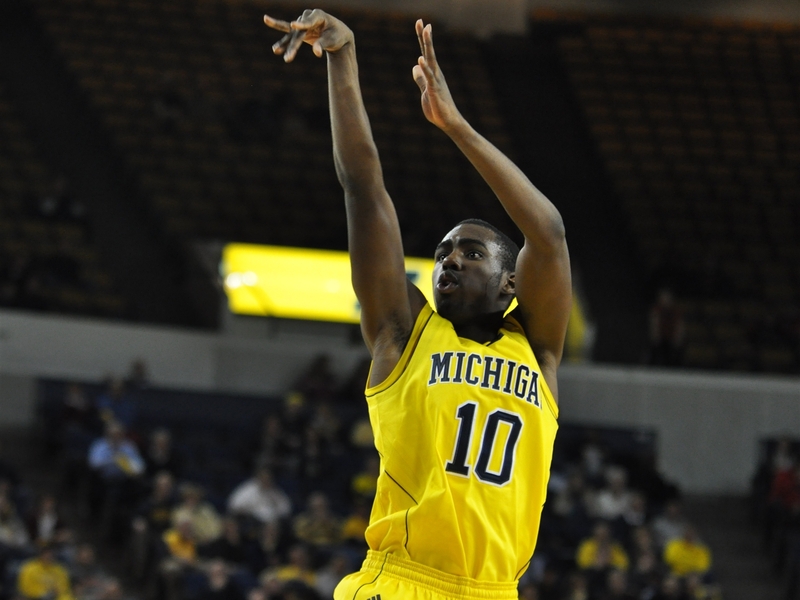 Burke is a freshman but has the ability to distribute the ball more than effectively. If you’re going to judge a player that hasn’t played yet at the point guard position look at Aaron Craft from Ohio State. True freshman last year for the Buckeyes. He was deadly and gave teams much difficulty. Michigan is also bringing in shooting guard Carlton Brundidge (I see Carlton and instantly think of Fresh Prince of Bellaire). Brundidge should be a valuable addition to the already decent shooting back court consisting of Zack Novak and Stu Douglas. The Wolverines are going to surprise a lot of basketball fans that are expecting the same old no good, pushover Wolverines. They’ll definitely be a fun team to watch! I’ve dropped Purdue down two spots. My reasoning? Simple, they lost two of Purdue’s all-time top 5 scorers! With JaJuan Johnson and E’Twaun Moore heading to the NBA due to graduating the Boilers are going to need some support players to step up big! Ryne Smith and D.J. Byrd to be exact. The Boilers do regain Robbie Hummel, whose been out due to knee injuries for most of the past two seasons. I look for Lewis Jackson and Terone Johnson to step up and pick up the scoring loads that were lost from a season ago. Defensively? I’m not worried about Purdue. They’ve always played tough, in your face, man-to-man defense that forces a ton of turnovers and I don’t see that changing any time soon. This season for the Boilermakers is filled with many many question marks. We’ll see how this squad performs but I still see them finishing with a moderate but successful season. The Hoosiers also fall back a bit. Let’s be honest. IU can’t do any worse this season than they did last year. They’re not losing any of their top 5 scorers from last year and are bringing in an outstanding power forward Cody Zeller. 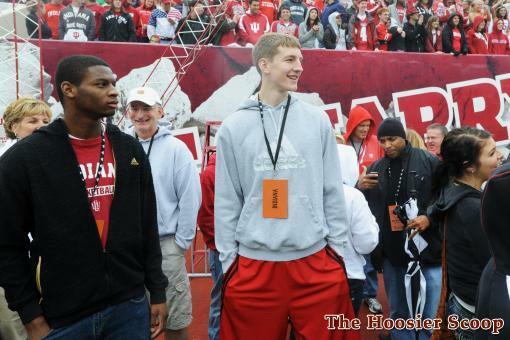 Zeller should help the Hoosiers out defensively and should be a factor on the offensive end of the floor as well. Jordan Hulls returns and always seems to fire the Hoosiers up with his hustle play, which is underrated in my mind. I love hustle players that produce as well. I don’t see the Hoosiers going on the road to any of the top 4 on this list and beating them, except possibly Purdue due to their rivalry. Expect good, not great, things out of the Hoosiers this season. It’s almost a guarantee they’ll be much better than in seasons past. Cheer up Hoosiers and enjoy a good season! Yes, I realize the Illini are loosing 3 out of 3 of their top scorers from last season. They’re also loosing Jereme Richmond to the draft. Richmond had a lot of talent and even more potential to become and Illinois great, but left early for the draft. This could hurt the Illini. However, Brandon Paul and D.J. Richardson are coming back and look to lead this team. The Illini are also bringing in an NCAA top 15 recruiting class according to ESPN. This class includes 4 ESPNU 100 recruits. Not only are they ESPNU 100 recruits they also fill positions the Illini needed to fill! They’ll be tossed into the mix early but one can expect them to learn and handle it well. This will absolutely be more of a learning season for Illinois but it’ll still be more successful than the other half of the conference, no doubt. It wouldn’t surprise me if the Gophers creep up just a little bit and possibly tie with Illinois or IU. I believe the former is bound to happen though. But, for this post I have them ranked at 7. Minnesota returns their leading scorer Trevor Mbakwe but lose Blake Hoffarber. Al Nolen is also gone from the mix but thankfully Ralph Sampson III is returning too. The Gophers are returning a decent lineup but are adding two ESPNU 100 incoming freshman. Both play shooting guard and should split Blake Hoffarber’s spot last season. They won’t be quite the leader Hoffarber was but they’ll split his scoring and be valuable 3rd option scorers. I still think the Gophers have much growing to do but think they’ll be alright this coming season. The Spartans dropped significantly from my last prediction post. I didn’t realize how many players Michigan State lost (Kalin Lucas, Durrell Summers, Korie Lucious, Delvon Roe, and some others). The fore mentioned players were all valuable to the Spartans, and they still somehow accomplished underachieving dramatically last year. Tom Izzo is bringing in a small class as well, but it does include an ESPNU 100 shooting forward Branden Dawson. I predict it’s going to be a very stressful, learning season for the Spartans and their fans. What makes it worse is that it starts with the Carrier Classic against #1 ranked North Carolina on November 11! Get ready Spartan fans, this could be a long season for you. John Shurna will undoubtedly lead this team. With Michael Thompson gone whose going to fill the distraction + productive role for the Wildcats? Drew Crawford? Incoming freshman PG Tre Demps? Honestly I have no idea. I do know one thing though, Northwestern always seems to play teams extremely tough at home. Including an upset against Purdue a couple seasons ago. We’ll see how they finish but I don’t expect them to make the NCAA tournament but could see them having a presence in the NIT. They’re losing their top scorer from last season, Lance Jeter, who averaged 11.7 ppg. That’ll force Jorge Brian Diaz to step up and put up bigger numbers for the Cornhuskers. Losing 2 of their top 3 scorers + only a decent recruiting class + playing in a new conference = very moderate/disappointing season. I still like their odds compared to Penn State and Iowa though! I skipped to 12 because this is a tie to me. Both teams have very little talent returning from last season. The talent they do have returning can be great team leaders and producers but in this conference it takes more than just one guy for a team to finish high. Mix in the inexperienced incoming freshman and you have recipes for disaster. Again, I don’t have much hope for these two teams, unfortunately for Iowa and Penn State faithful. Even more unfortunate I’m probably correct with these assumptions.